A SOUTH DAKOTA FARM BOY has no inkling his destiny is tied to Japan's conquest of China and Hitler�s rampage in Europe. Just three months into college, his world is turned upside down by the surprise attack at Pearl Harbor. Agonizing over his military service options, he is lured by travel and adventure and joins the Army Air Corps. 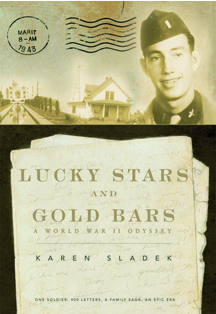 Favored by lucky stars and spurred by burning ambition, he emerges from Yale Technical Training Command sporting the gold bars of a second lieutenant. While serving as a Cryptographic Security and Intelligence Officer in the China-Burma-India (CBI), European (ETO), and Mediterranean (MTO) theaters of war, he observes profound socioeconomic changes occurring in Asia and Europe. Posting some 400 letters from five continents, he unwittingly captures the dreams and sacrifices of his family and brings the historical events of an epic era to life.